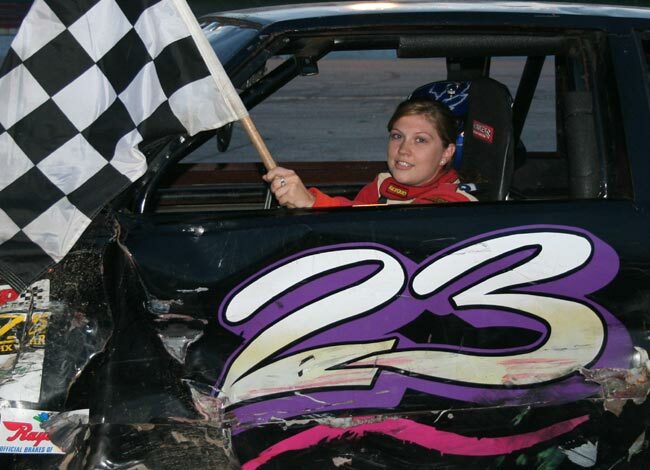 OXFORD, Maine - Members of the enduring Childs racing family won four of an intense 11 features in Oxford Plains Speedway's Acceleration Series on Wednesday night. 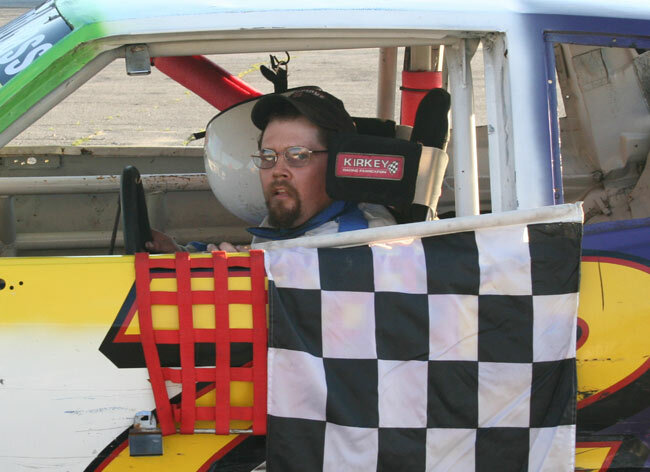 David Childs drove to victory in both Chimney Tech Outlaw and Macdonald Motors Runnin' Rebel competiton. 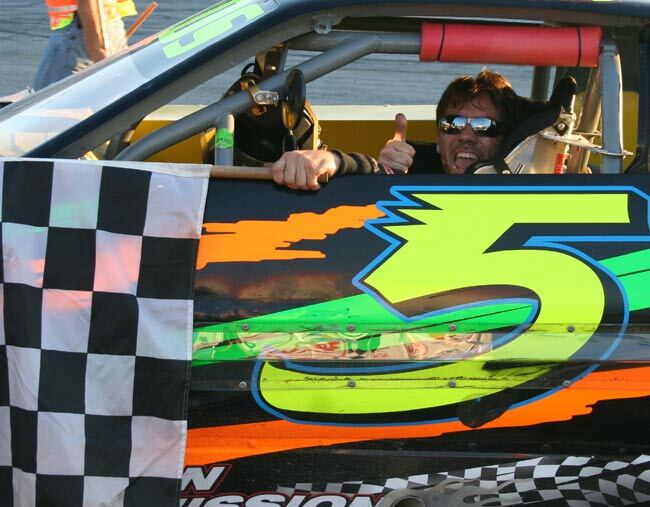 His son, Josh, won his third consecutive Runnin' Rebel main event and sixth overall. David also finished second to his uncle Guy in an Outlaw feature. The four wins gave the Childs family 188 career victories at OPS, surpassing the record of 187 set by the Rowes of Turner. Twelve different drivers across three generations have contributed to that staggering total. Fans were treated to plenty of extra action on a beautiful late-summer night, thanks to the rainout of a race program on Friday, July 18. Six Outlaw features were contested in all, including three regularly scheduled 20-lap events and three make-ups. Chris Coolidge posted his first Acceleration Series victory in the Outlaw opener. 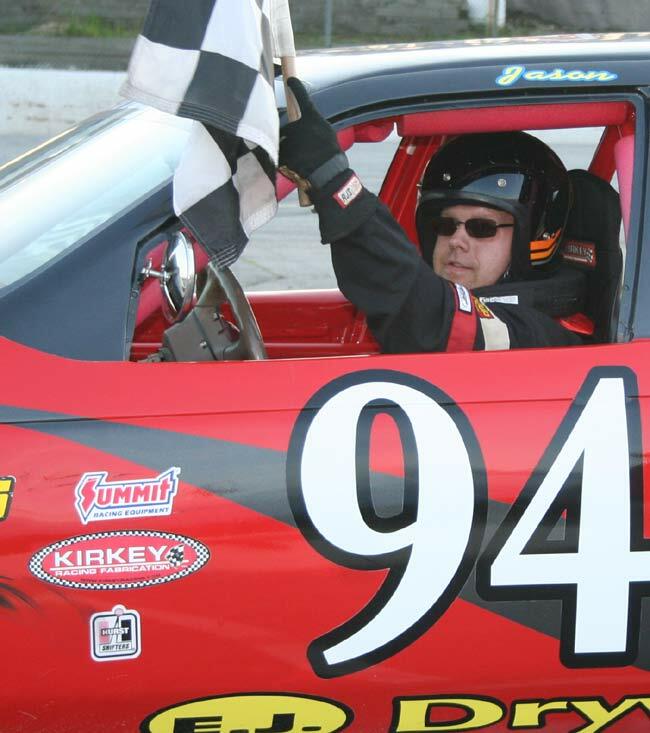 Coolidge logged 15 checkered flags as a Strictly Stock driver in the Championship Series from 1999 to 2006. Rick Spaulding rallied to his fifth win of the season in the rescheduled Outlaw round, putting him once behind David Childs in that category. In the second triple bill, Gerry Richard charged to his third win of the summer and Jim Drake his first, sandwiched around Guy Childs' second. 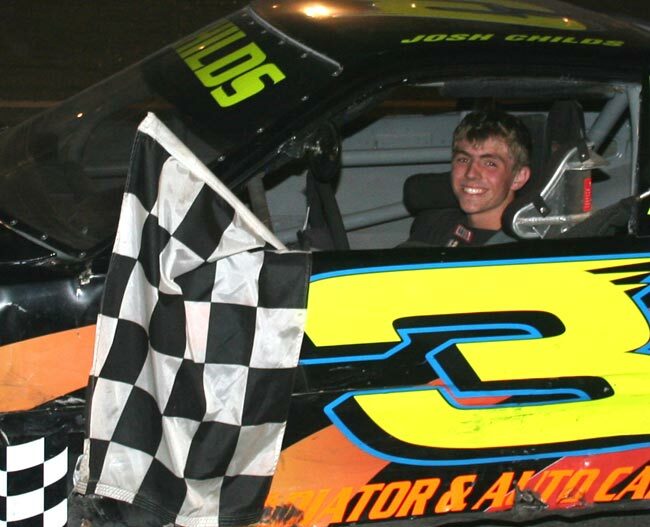 Opie Allard ended Jake Burns' five-race winning streak and walked away with his first career OPS victory in the Call of the Wild RV Sport Truck division. Ryan Farrar was Allard's closest pursuer in the tight race, with Burns third. Vanna Brackett held off point leader Dottie Patria for her fifth Allen's Coffee Flavored Brandy Ladies win of the summer. Patria later registered a top-five finish in one of the predominantly male Outlaw features. Jason Hannigan also padded his Goulet Home Inspections Renegade point lead with his third straight triumph. David and Guy Childs finished one-two in both 'B' Outlaw features. It was David getting to the front first in the make-up event, taking over the top spot from David Brown on lap 11. "(Brown) got into me on that restart and got me squirrelly," Childs said. "I was able to get through it. I'm having a blast, man. You can't get better than that." One of the original racing Childs returned the favor in round two. Guy, who has struggled for most of the season after winning four times in his Outlaw debut late last season, took command from Bill Sprague on a lap 15 restart. David delivered his customary late-race charge in a manner that got Guy's attention. "He's like that. He wants to win every race he's in. He's my nephew, and I love him, but he's wrong," Guy said. "He's always pushing me or running into me. I'll have to have a talk with him when I get back in there." Steve Brill, Jim Archer and Bob Ferguson rounded out the top five behind Childs and Childs in the first get-go. Sprague, Tina Titus and John Patria followed the leaders in the encore. 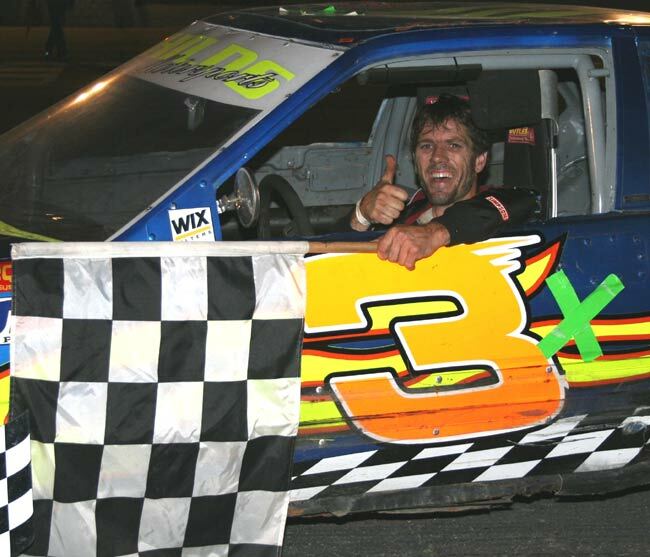 Coolidge continued the trend of former Strictly Stock drivers now enjoying the Outlaw fray, joining Guy Childs, Jerry Freve and Nik Coates as a 2008 feature winner. He led every lap of the first Outlaw installment, putting an increased distance between himself and runner-up Fred Clavet over the second half of the event. "My father let me drive this car while he's putting his Camaro back together," Coolidge said. "It's been such a long time that I'm not sure I could remember how to get here. It's good to be back. I really missed it a lot." Clavet logged the first of his two top-five finishes on the night, backed by Tim Hatch, Sprague and Mike Blash. Spaulding's hopes of a sweep were nullified when he tangled with Jim Archer while challenging for the lead in the nightcap. There were no such problems in the first go-round, when Spaulding motored around Freve on lap 6. "This is what I needed to catch up in the points a little bit," said Spaulding, who led Drake, Freve, Ron Abbott Jr. and Steve Moon across the stripe. 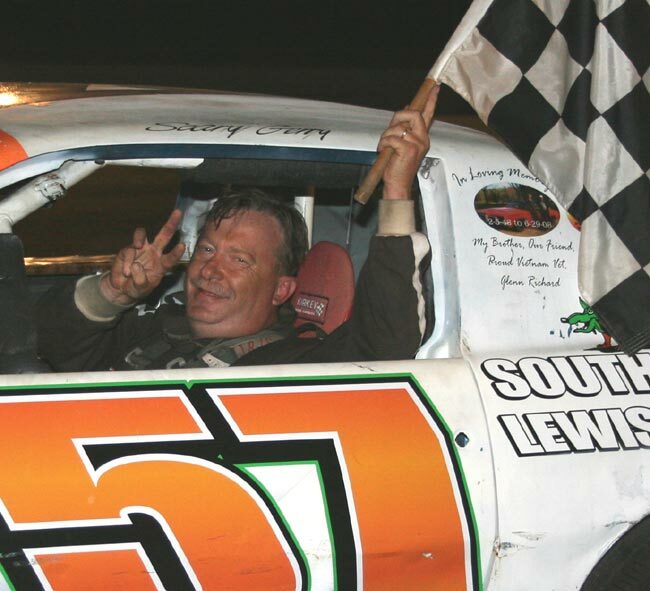 Gerry Richard breezed to a half-lap lead and cruised to a caution-free victory in the second 'C' feature. "We got a break at the start, and I just went for it," said Richard. Brown won the distant battle for second, with Scott Jordan third in only his second appearance of the season. Clavet edged Dottie Patria for fourth. 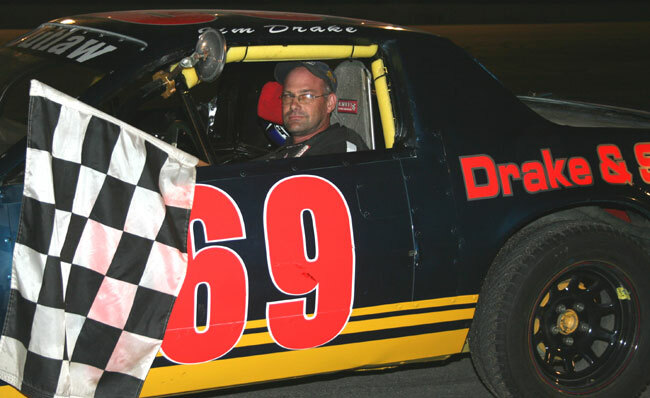 Drake avoided the pile-up in turn one after the Archer-Spaulding collision, dominated the ensuing restart and collected his third career win. "It was about staying out of trouble," Drake said of his success. Keith Landry, Addison Bowie, Dan Brown and Abbott also benefited from the mess up front, sifting through and holding down second through fifth, respectively. Three drivers are separated by a mere two points with two races remaining. Bowie and Abbott are knotted for the top spot, with Drake knocking on the door in third. The father-son sweep in Rebel looked unlikely on paper, with both David and Josh charging from the 21st starting position. Nate Dubuc and Sprague set the pace before David dismissed Sprague from the lead on lap 13. "The way these cars are going right now, you just put your foot down and drive them. It's easy. I'm stumped," Childs said. Sprague settled for his third paycheck of the night in second. 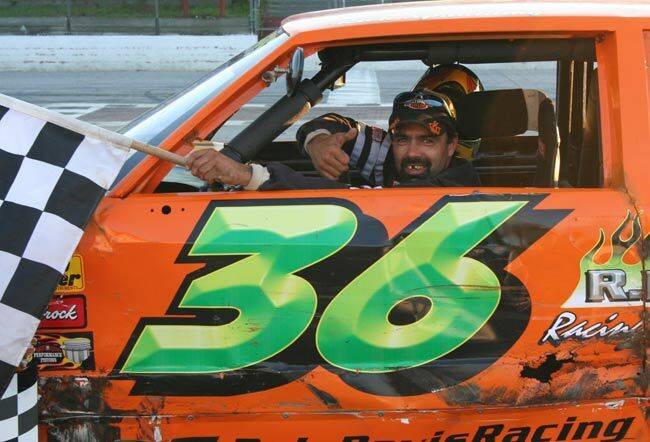 Brian Nason and Mike Kyllonen posted their best finishes of the year in third and fourth, with two-time division champion Gary Chiasson making a solid return in fifth. Josh Childs got to the fronton lap 15 just in time. 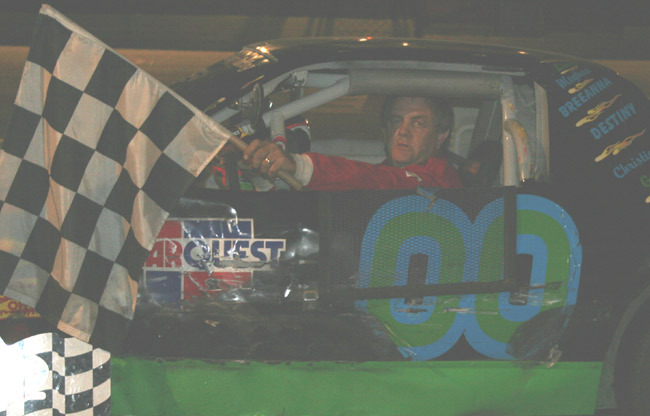 A multi-car crash two laps later took out several contending cars, including early leader Bill Dunphy and Kyle Hewins, who entered the night with the division lead. Childs also got bumped by another car while slowing down for the resulting red flag. "Some people don't know what the red flag is, I guess," Childs said. "I snookered (early leader Jason Berry) and got underneath him, and I just had to hold on after that." Berry's run was disallowed in the post-race inspection. Gregg Norton took second in the revised rundown and reclaimed the point lead. Jamie Leavitt, Derek Cook and Charlie Webster followed. Fans saw a great battle in the Truck contest, and in a rare development, it didn't involve Burns. Allard (inside) and Farrar (outside) exchanged the lead three times before Allard claimed it for keeps on lap 16. 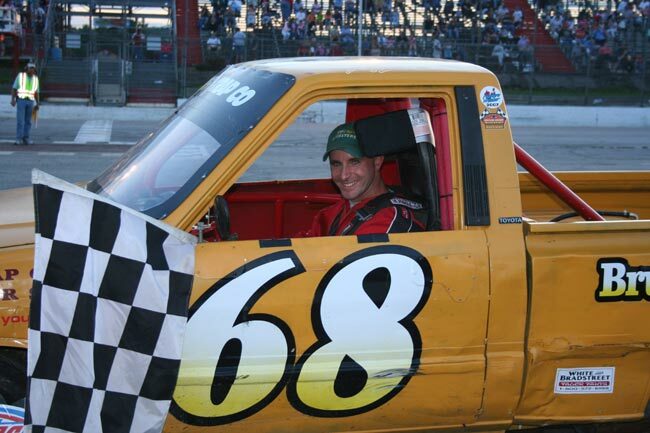 Opie's father and teammate, Roger, drove the truck to his first Oxford win last September. Opie recently finished second to Burns in three consecutive races and endured several other close calls during the summer. "You can't ask for a better, cleaner race than that one with Ryan," Allard said. "Usually I go and make a bonehead move and take myself out of it. This time I managed to keep it together." Burns wasn't far back in third, with top rookie Ross Spurling and Tom Libby giving chase. Brackett squeezed her way through a fracas at the front of the field involving Deanna Robertson and Cathy Manchester to take control of the Ladies dash. "I picked the right lane at the right time. That was about it," Brackett said. Patria continued to put the championship out of reach with a second-place run. Lisa Vining was third in front of Kimberly Sessions and Debbie Marston. Five of the nine drivers in the stock six-cylinder Renegade field led at least one lap. Reigning champion Heath went to the garage area to repair a leak, giving up the advantage under caution on lap 13. Heath's teammate Craig Bartlett took over, but Hannigan made his winning move with two laps to go. Hannigan won both of last week's double features when Heath's apparent victories were stripped in tech due to a sway bar issue. "This was definitely well earned," Hannigan said. "It's been a great year racing Jamie and those guys, but I definitely earned this one." Bartlett held off Heath for second. Robert Lowe landed fourth in front of Gerard Cote. The Acceleration Series continues next Wednesday, August 16 at 6:30 p.m., with another 11-race card that includes double feature action in Rebel and Truck. Lap leaders: Brown 1-11, D. Childs 12-20. Lap leaders: Freve 1-5, Spaulding 6-20. Lap leaders: Sprague 1-15, G. Childs 16-20. Lap leaders: Archer 1-11, Drake 12-20. Lap leaders: Dubuc 1-4, Sprague 5-12, D. Childs 13-20. Lap leaders: Romano 1-2, Dunphy 3-15, Jo. Childs 16-20. Lap leaders: Williams 1, Hamilton 2-9, R. Farrar 10,. Allard 11, R. Farrar 12-15, Allard 16-20. Lap leaders: Veinott 1-3, Robertson 4-8, Brackett 9-20. Lap leaders: Lowe 1, Knowlton 2-4, Heath 5-13, Bartlett 14-17, Hannigan 18-20.